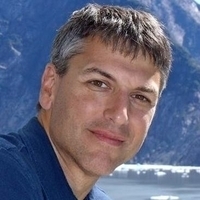 Addison Snell is the CEO of Intersect360 Research and a 20-year veteran of the High Performance Computing industry. He launched the company in 2007 as Tabor Research, a division of Tabor Communications, and served as that company's VP/GM until he and his partner, Christopher Willard, Ph.D., acquired Tabor Research in 2009. During his tenure, Addison has established Intersect360 Research as a premier source of market information, analysis, and consulting. He was named one of 2010's "People to Watch" by HPCwire.